Advocacy is at the core of our PTA mission to make every child's potential a reality. By engaging and educating members on important issues at the local, state and national level, PTAs become an important voice in making decisions that impact Texas families. 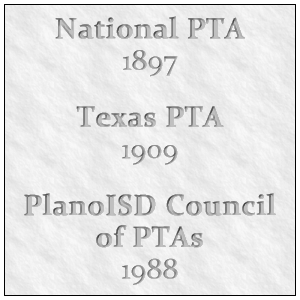 Over the last century, PTA members have been instrumental in improving the lives of millions of children by advocating for the creation of universal kindergarten classes, child labor laws, a juvenile justice system and a healthy school meals program. But what does it mean to be a part of PTA advocacy today? In the 21st century, PTA advocacy means providing our children with nutritious meal options, keeping them safe from gun violence, protecting students’ personal and academic information and ensuring that kids are college and career-ready upon graduation from high school. ​PTA is the largest and oldest nonprofit, member-based volunteer child advocacy association in the country. The voice of the PTA is strengthened with each and every person who joins a PTA at a local campus. Whether it is organizing a school meeting to discuss classes for students with special needs, participating in the Texas PTA Rally Day, meeting with Texas State Legislators, or calling a member of Congress to talk about the federal budget, PTA members are making a difference for children and families in their communities and across the country. After 120 years, at its core, PTA advocacy is still about speaking for every child with one voice.